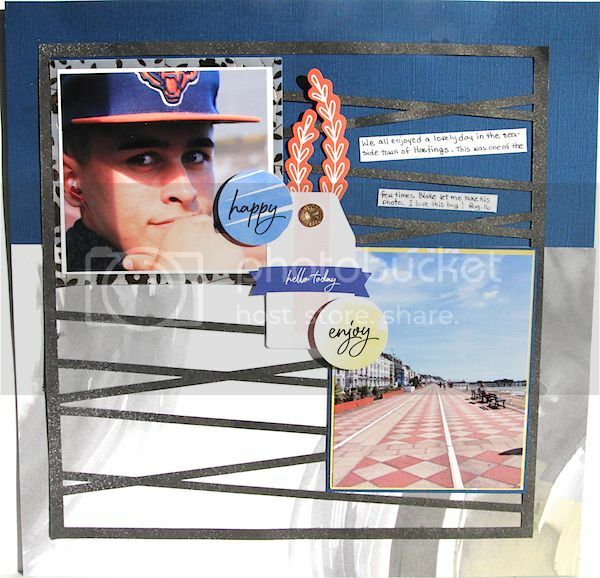 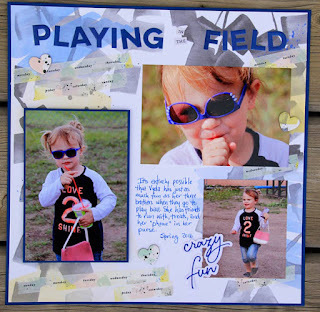 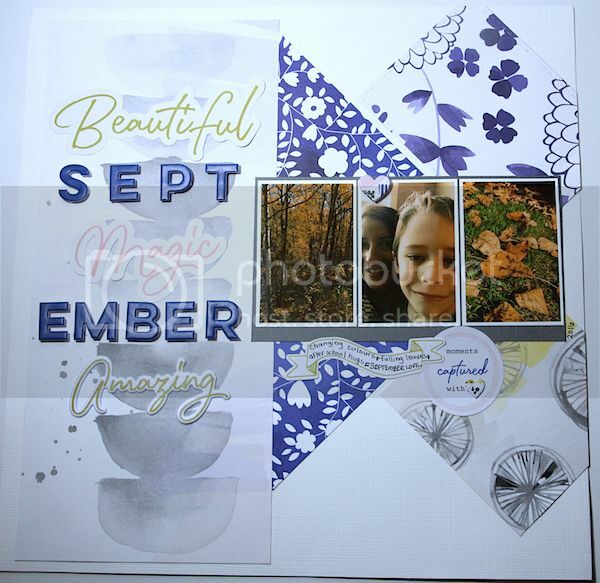 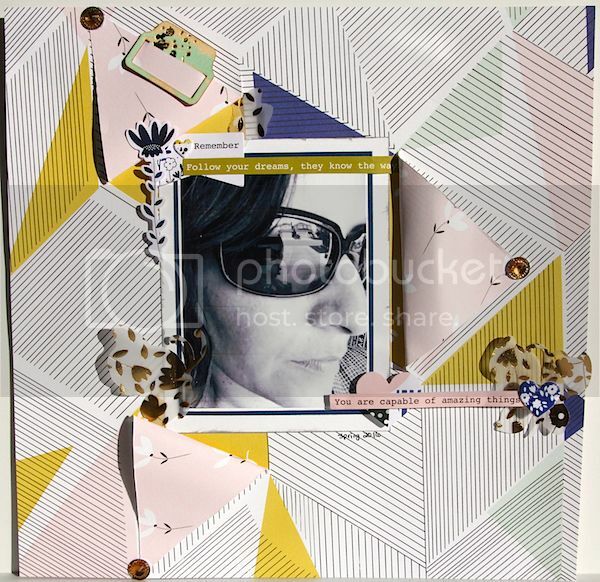 Scrap Shotz September Kit Featuring PinkFresh Indigo Hills! 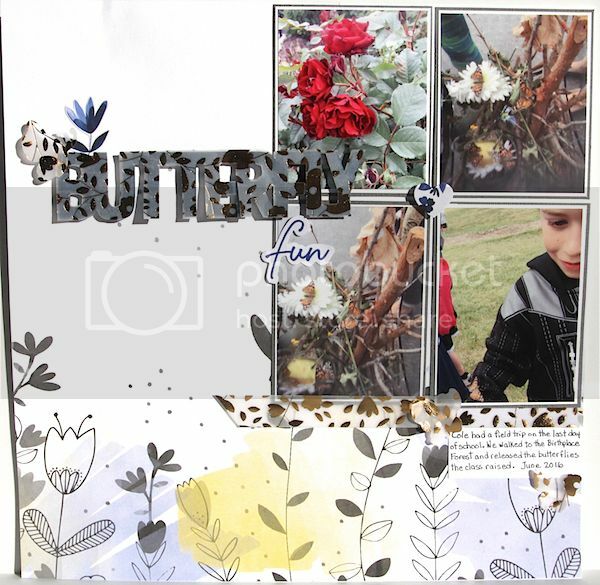 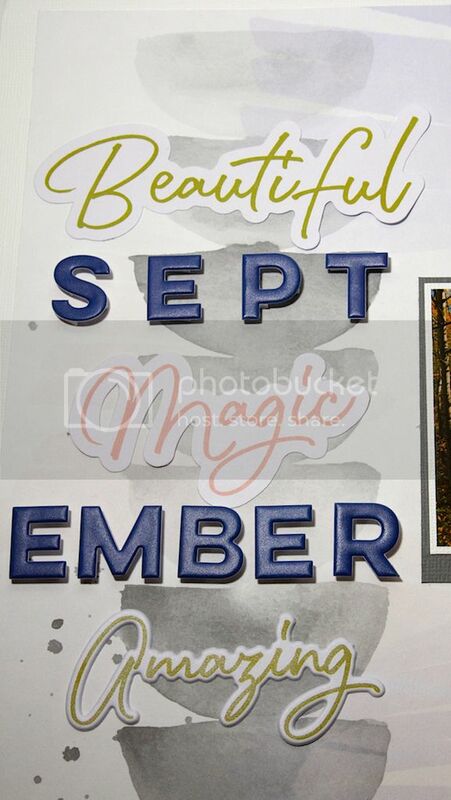 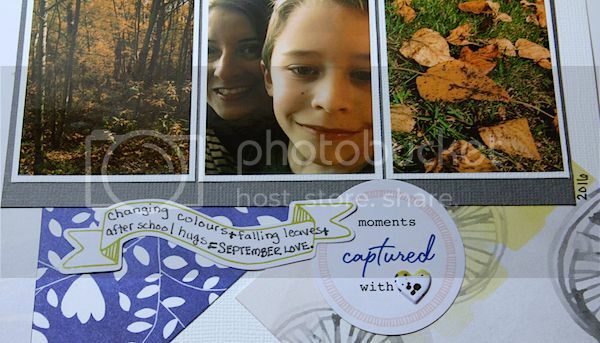 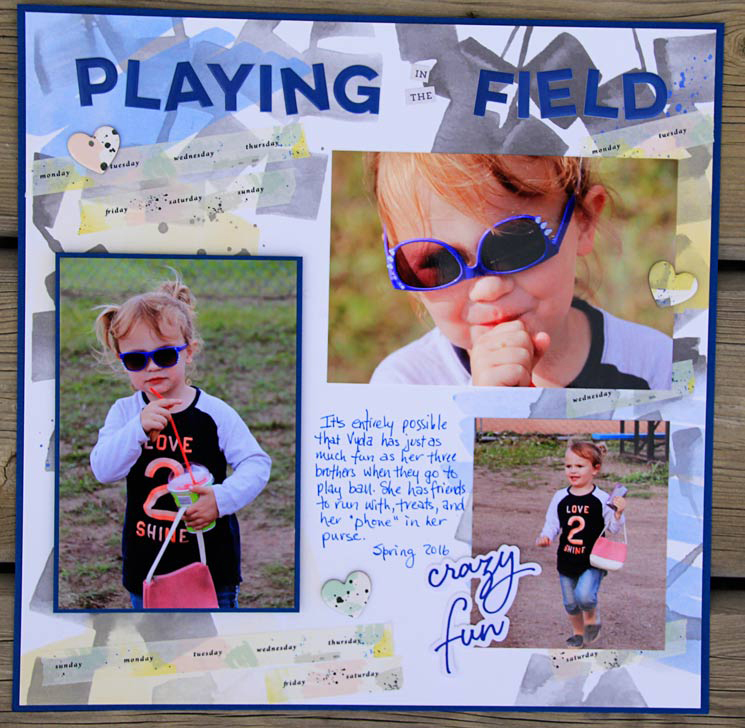 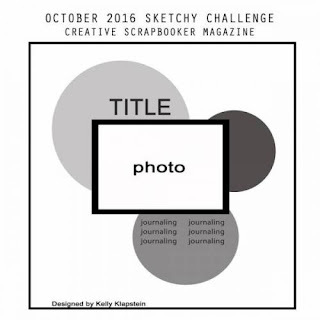 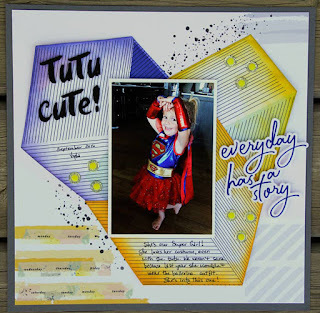 I am so happy to be back here at the Scrap Shotz blog sharing my projects for the fabulous Scrap Shotz September kit featuring the brand new Indigo Hills line by Pinkfresh Studio. 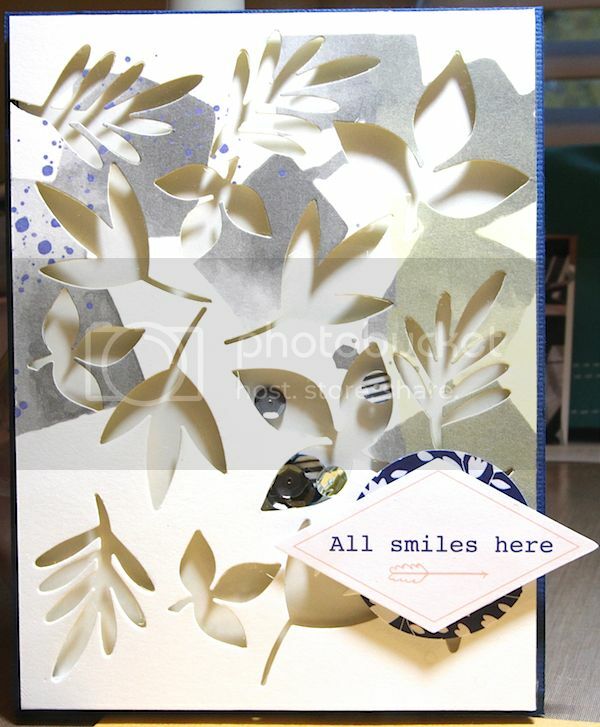 It was difficult to cut any of these papers up, they are so beautiful, so I eased in to it with this first layout. 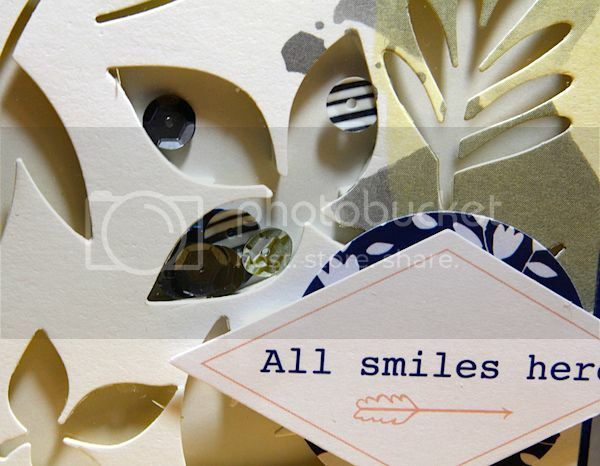 I used my exacto knife to cut 3 of the triangle-ish?? 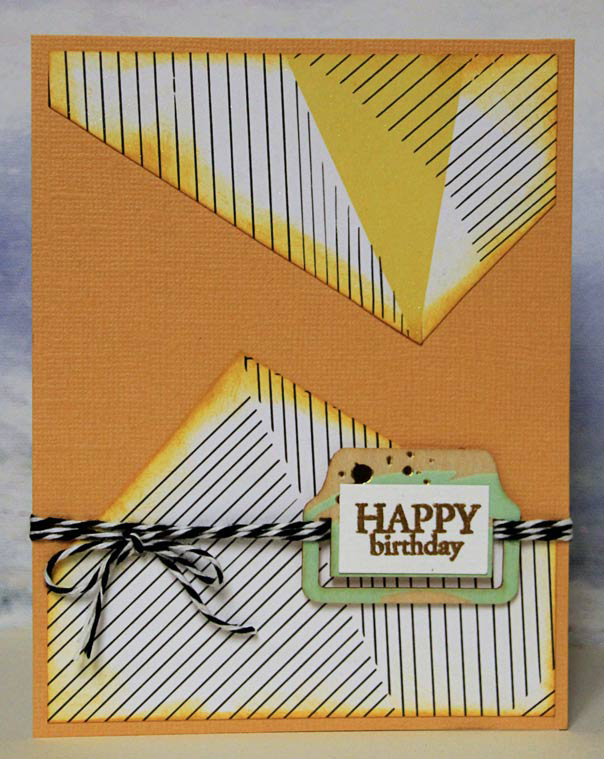 shapes on this paper and then folded them back to reveal the 'b' side of the patterned paper. 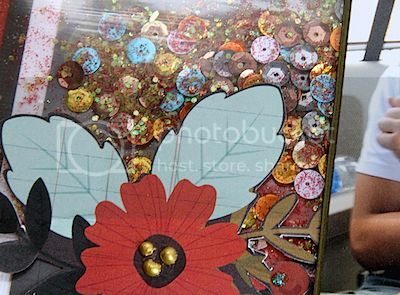 I backed the empty areas with another patterned paper, placed the matted photo in between all the cuts and embellished with kit puffy stickers, die cuts, wood veneer and gems. 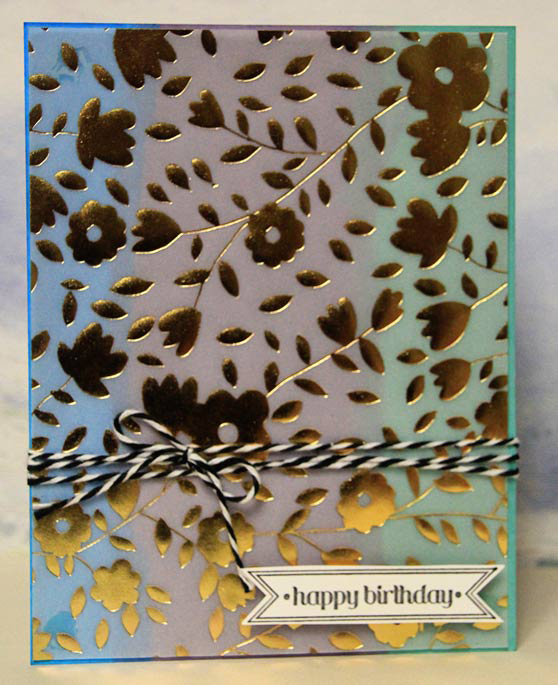 I apologize for this less than stellar photo, so hard to see the gold vellum, I die cut the 'butterfly' title with my Cameo machine and then backed it with the same die cut in blue card stock. 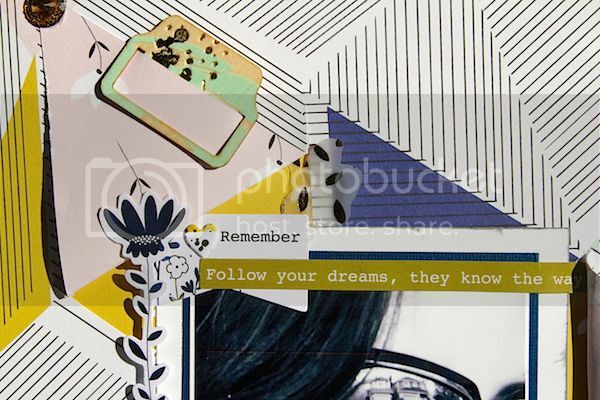 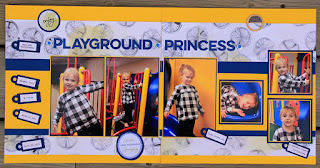 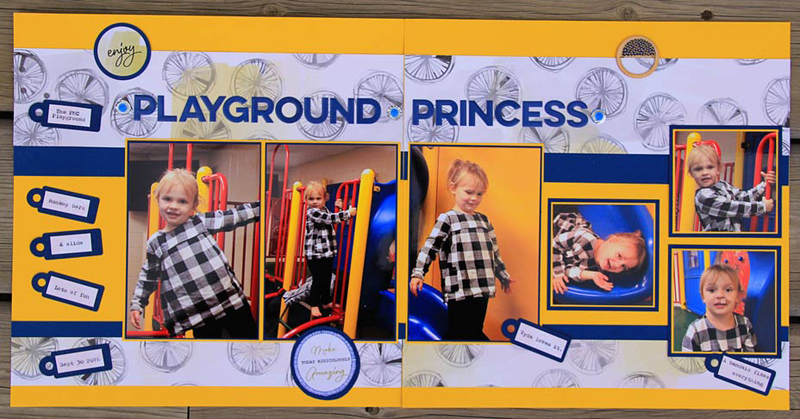 The white space on this patterned paper makes it easy to find a visually appealing point for any photo layout. 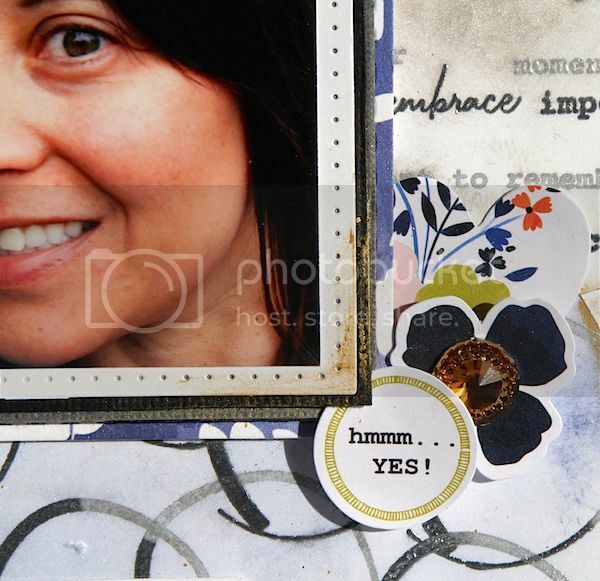 and a close up of the journaling area, I always journal by hand, not because I think my handwriting is awesome, because I feel it's faster :). 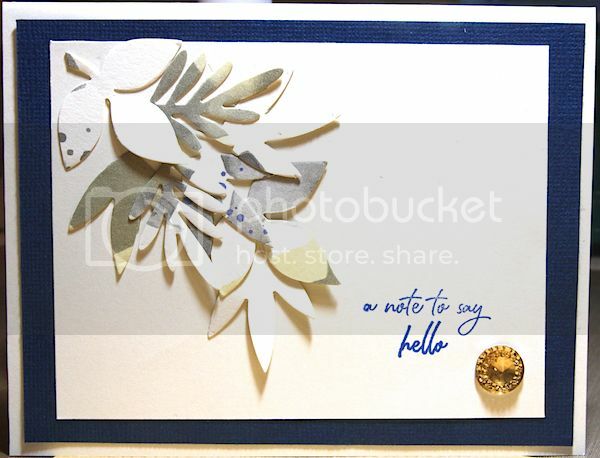 Now on to something completely different...a Christmas Card! 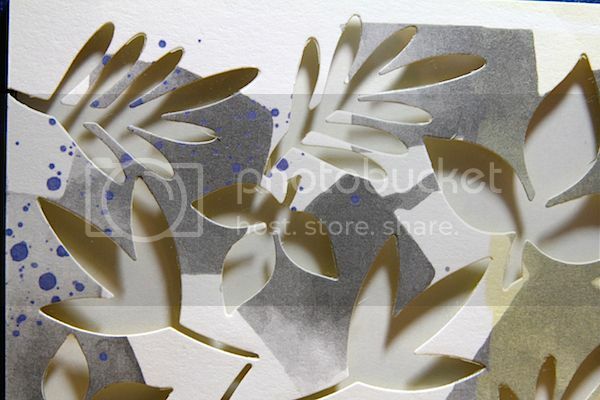 This gold patterned vellum paper is so versatile, especially for special occasions such as Christmas! 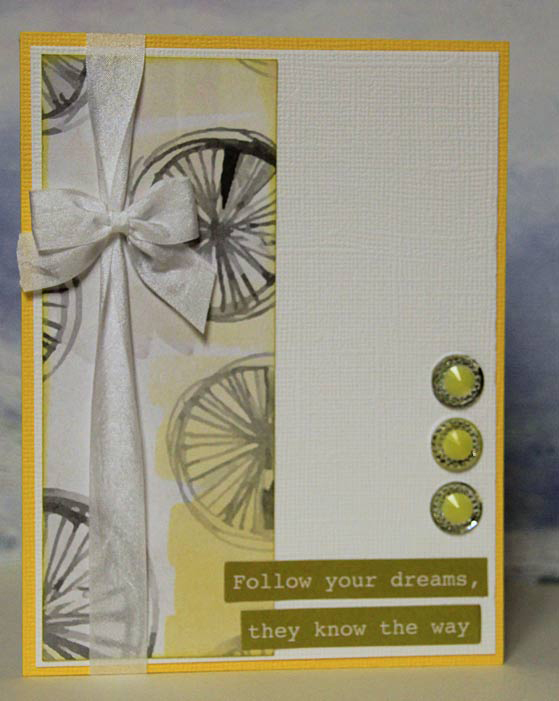 I die cut the sentiment with a Tim Holtz die from my stash, stapled it to black card stock and then to kit patterned paper. 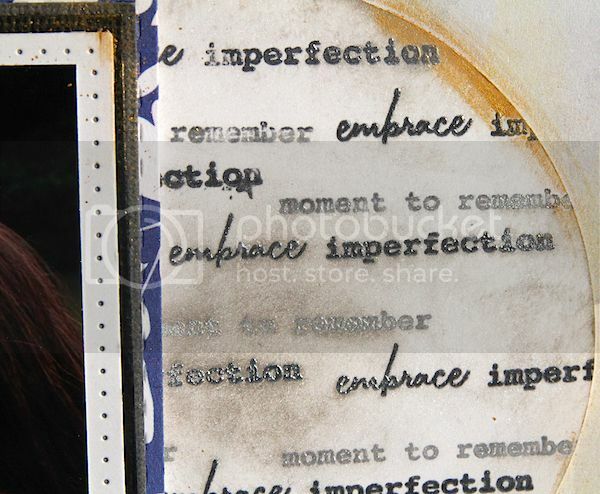 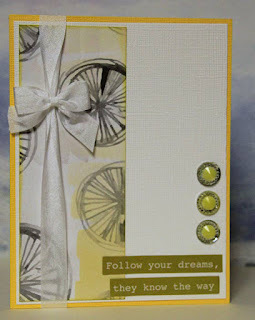 The entire piece is matted on Tim Holtz gold metallic card stock, then backed on grey kit card stock. 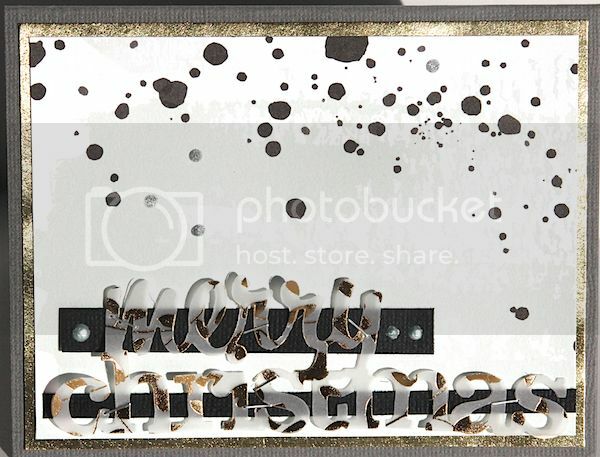 I've also added a few accents with Nuvo Crystal and Glitter drops but they are hard to see in this picture. 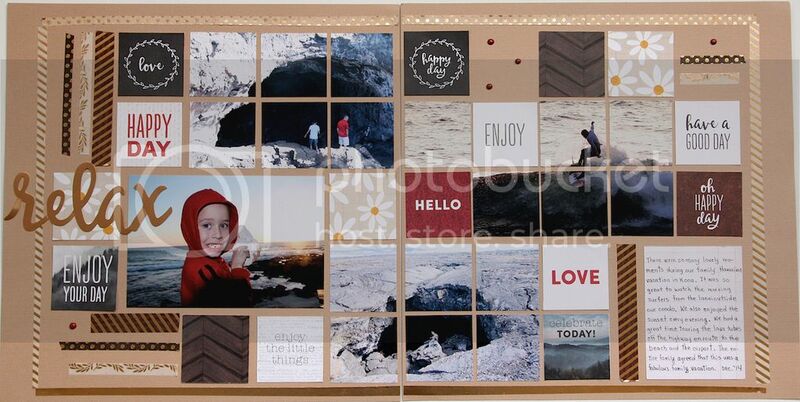 I think this is my favorite layout from this reveal... 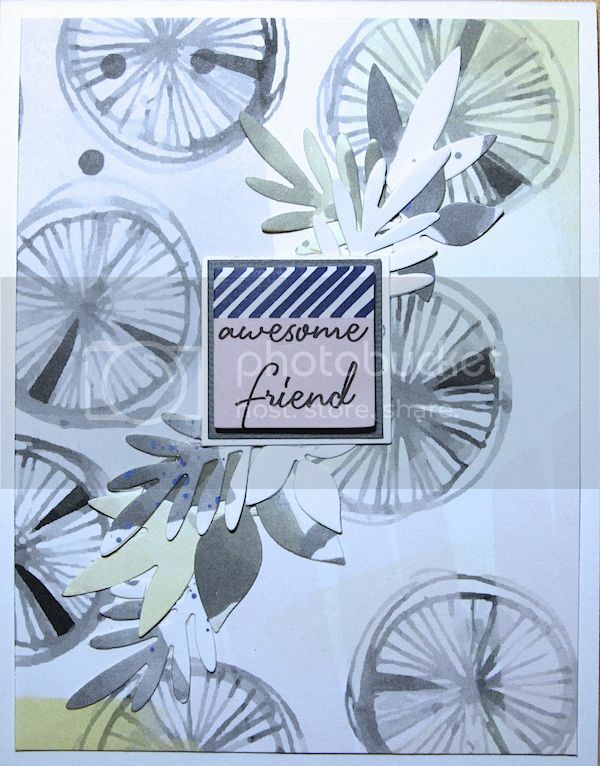 I cut circles with my old Fiskars circle cutter, stamped with Hero Arts Ombre metallic ink and embossed with clear embossing powder. 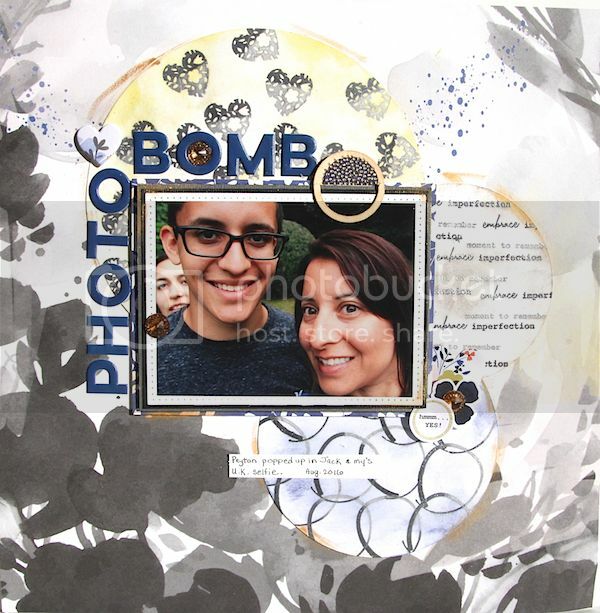 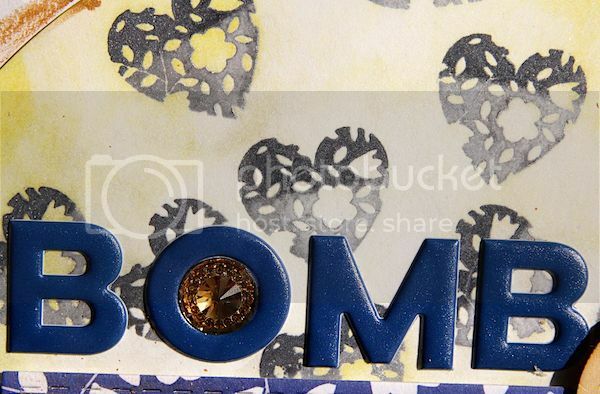 I then inked the heart stamped circle with Tim Holtz Distress Ink in Squeezed Lemonade, the circle frame stamps with Chipped Sapphire Distress Ink and the words stamped circle with Pumice Stone Distress Ink; finally all the circles were dusted with Perfect Pearls powder. 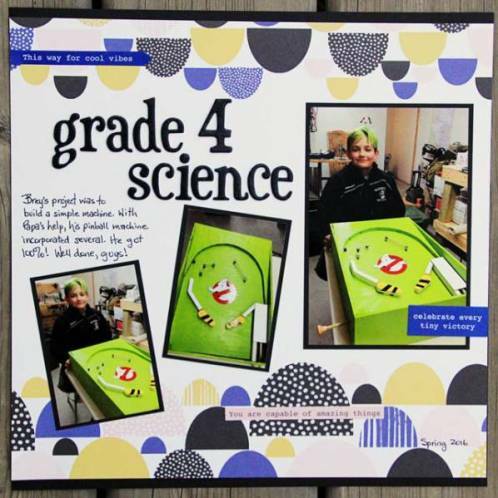 The kit includes a full package of 42 Indigo Hills Die Cuts, a full package of 30 Indigo Hills puffy stickers and a full package of 143 Indigo Hills Puffy Alphas, lots and lots of product for your scrapbooking/crafting needs :). 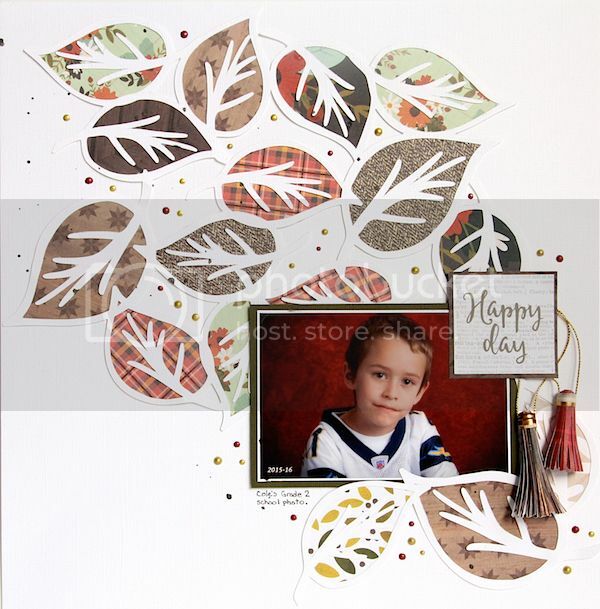 I pulled out some dies from my stash, Elizabeth Craft Designs leaf dies, and cut individual leaves to accent the kit die cut and create a lovely any occasion card for a friend. 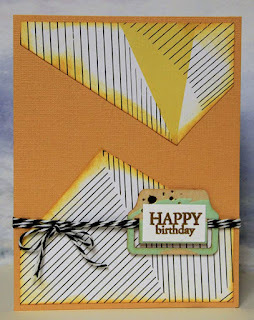 Here is another card that highlights the ECD leaf die cuts from my stash (you will see why in a moment). 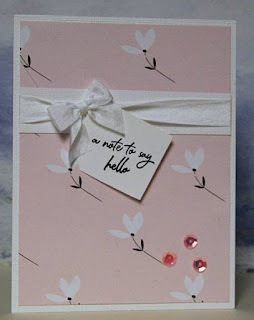 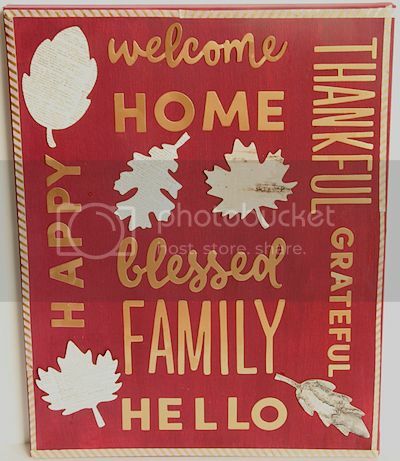 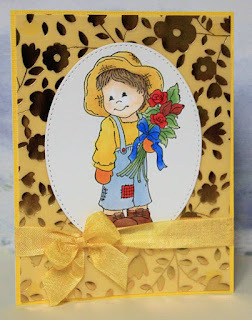 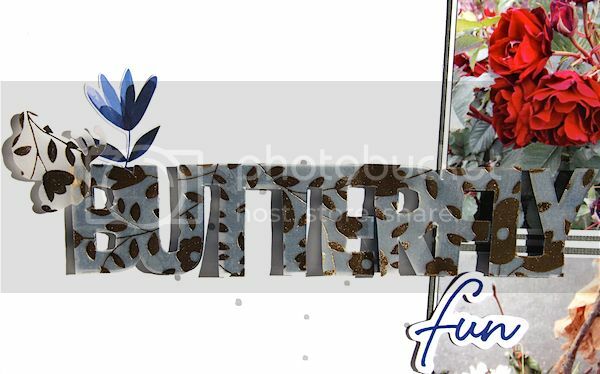 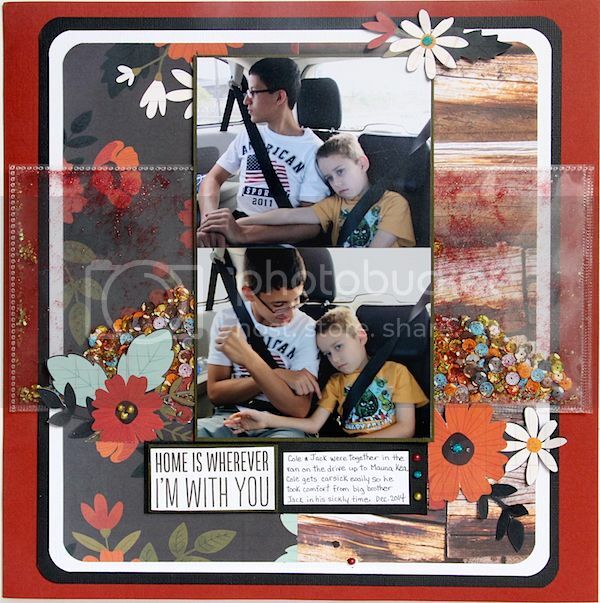 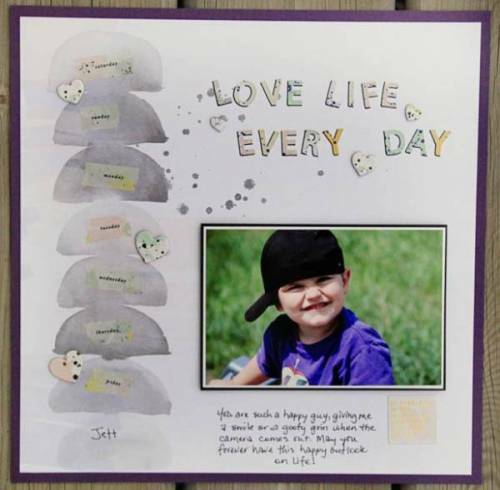 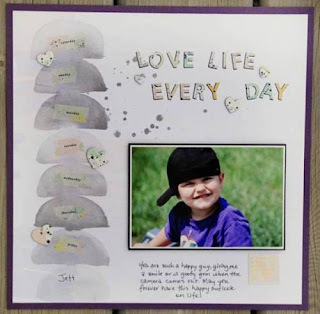 The sentiment is stamped with the kit add on stamp and the bling is part of the kit. 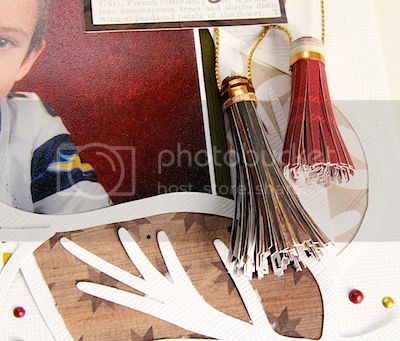 Please make sure you bookmark us, if you haven't already, so you don't miss Lorraine and Virginia's upcoming September kit projects!